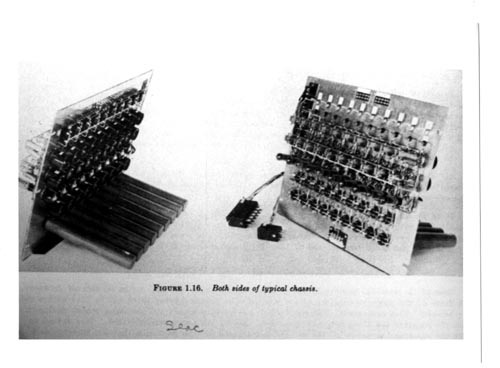 B&W image of both sides of typical SEAC chassis. Figure 1.16. Seac written on bottom of image. Shown are unknown components and wiring connectors.